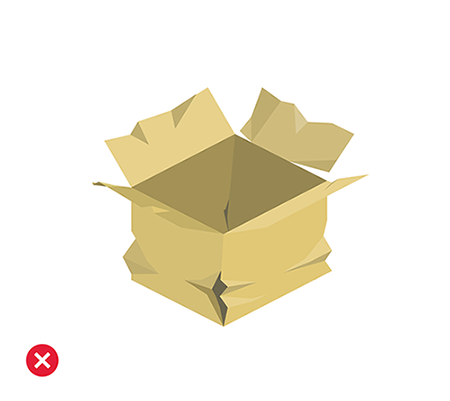 Your box should be suitable for the type, size and weight of items that you are going to pack in it. 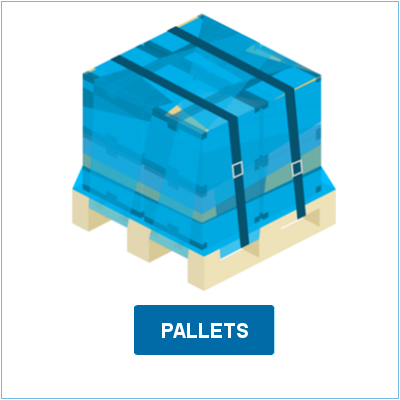 Good quality packaging is crucial in order to secure the shipment and prevent any damages during the transit. The heavier the content, the more stable the outer packaging needs to be. 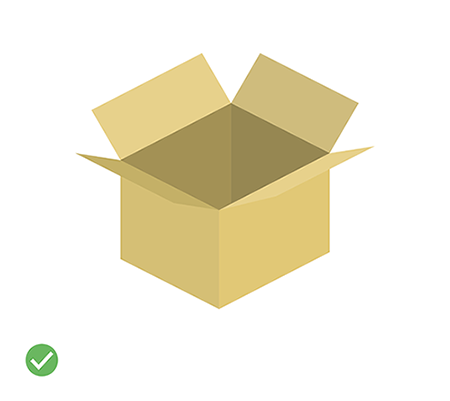 New boxes are recommended, but if you reuse an old box - make sure it is sturdy enough, with no holes, tears or dents. 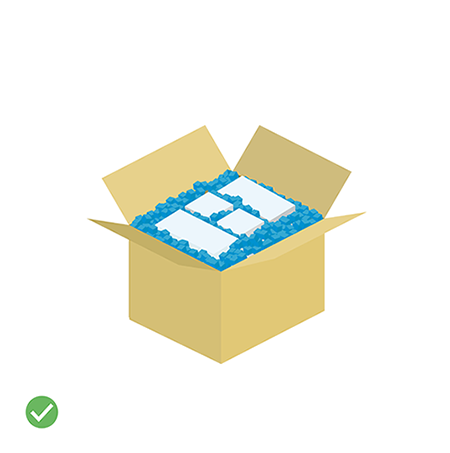 Foam padding and packing peanuts will fill up the empty space left between the items and it will prevent them from shifting inside the box. 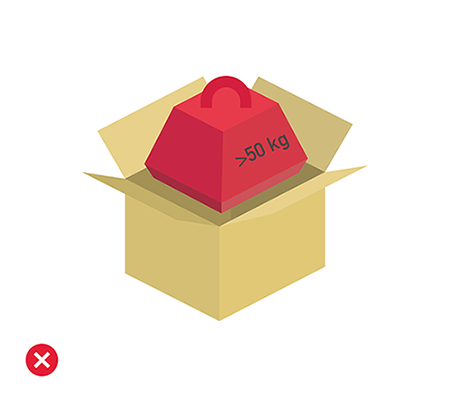 Don’t use a box which is too big for the items placed inside, even if you use enough cushioning material, the stacking strength will be reduced. Use enough duct tape and seal all sides of the box. 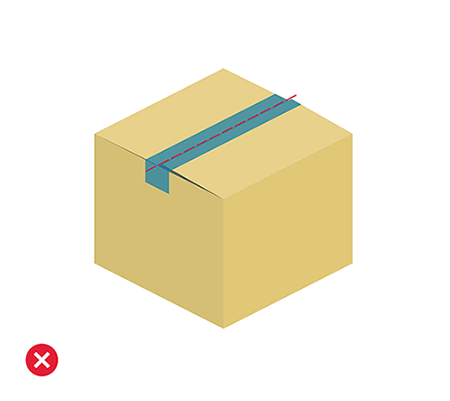 Apply at least three strips of tape evenly and cover all flaps and seams on the top and the bottom. 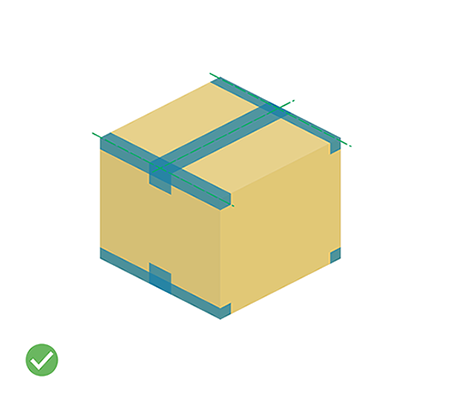 Use strapping for the heavier boxes. 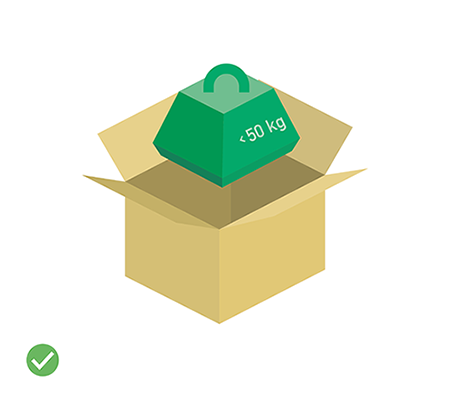 There is no limitation on the dimensions of the boxes, as long as they are properly packed and can be easily handled during the transport, without special equipment. 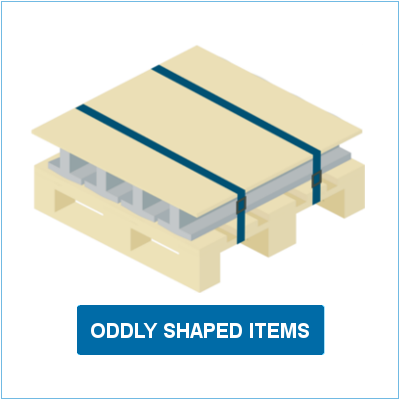 If the dimensions and the weight of the boxes make the manual handling difficult, they should be placed on a pallet. Remove old labels. 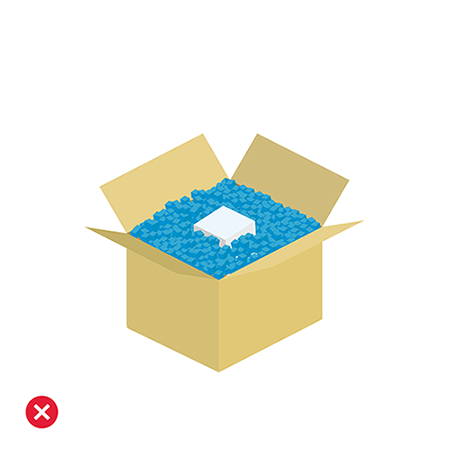 Stick the label on a flat surface on the top of the box, so that the barcode can be scanned easily. In some cases, the courier driver will bring the label himself and stick it to the package. 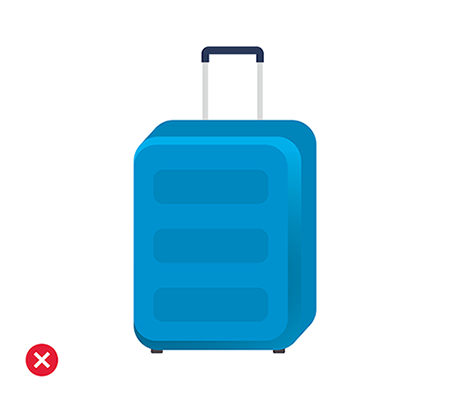 You can also ship suitcases and there is no limitation on their sizes or weight. Remove all the old labels. 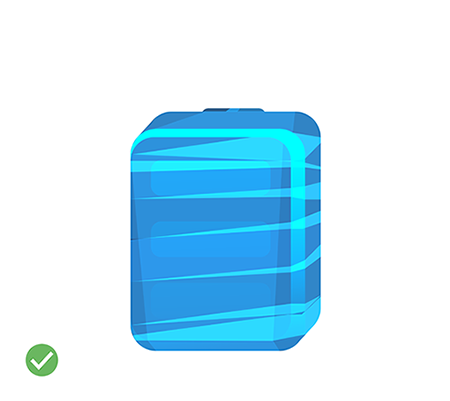 In order to secure it, make sure you put the handle down and use enough stretch foil to wrap your suitcase thoroughly. 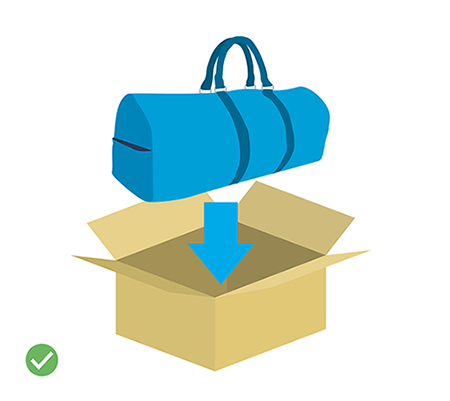 If you pack your items in a travel bag, you will need to place your travel bag in a cardboard box to secure it for the transport. 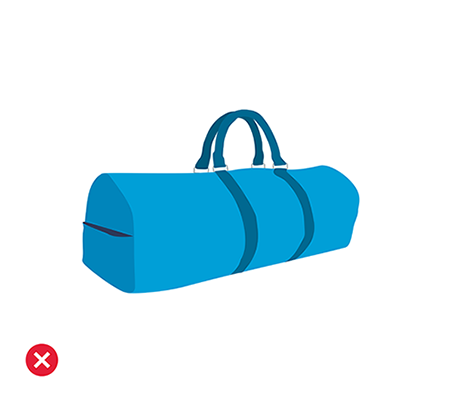 Find a sturdy box which is big enough for the travel bag to fit in.